It’s that time of the year again: time for annual performance reviews. Do you wish you could change it? Turn it into something less time consuming, and more meaningful? While it may seem safer to stick with the familiar, holding on to an outdated process may be hurting you more than you think. 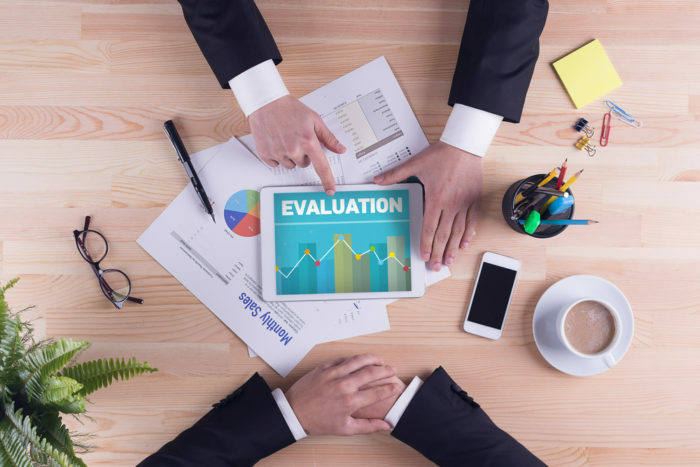 Here are some eye-opening stats that will make you want take the plunge and reconsider how your company does performance reviews that can help you make a business case for change within your organization. 1. Managers spend 210 hours a year on performance management —Insight and technology company CEB estimated a few years ago that managers spend on average 210 hours on performance management. For employees, this number is set at 40 hours a year. According to one 2011 estimate, a company of 10,000 spends about $25 million a year on performance reviews alone! 2. Only 6% of organizations believe their performance review process is worth it —What do Accenture, Adobe, Deloitte, GE, the GAP and Microsoft have in common? Realizing they weren’t getting enough out of their processes, they’ve all said goodbye to traditional performance reviews and instead replaced them with more frequent check-ins and real-time feedback. Is it time to reevaluate your processes? 3. Tracking performance (for those who actually do) is time consuming — The amount of manual work this approach requires from HR teams, managers and individuals is a sure fire way to develop company-wide carpal tunnel. It’s important to implement a solution and strategy that streamlines your process and delivers the insights you need in a simple and automated way. 4. 22% of employees have called in sick rather than face a performance review — Has your office felt a bit deserted lately? In a 2015 survey of over 1,000 millennial employees by Trinet and Wakefield Research, 22% preferred to call in sick. Another 35% have complained to their peers, 15% have cursed and 15% have cried. Rather than putting people on trial, performance reviews are supposed to be an opportunity to help people reflect, learn from their past performance and make an action plan for the oncoming year. 5. 74% of millennials feel “in the dark” about their performance — One of the biggest problems with annual performance reviews is that the results often come as a surprise to employees. In Trinet and Wakefield’s survey, 74% of millennials reported feeling “in the dark” about their performance. Instead, sharing continuous performance feedback gives people the insights they need to improve their performance throughout the year, ensuring they’re not blindsided by their next performance review. 6. 47% of millennials started looking for another job after receiving their results — Growth and development is one of the most important things millennials look for in a job. If your people don’t feel they can learn and grow in your organization, they’ll start looking for opportunities elsewhere. As Adobe’s 2017 study of over 1,500 office workers revealed, 47% did that after receiving their performance review; 30% outright quit. 7. 57% of employees feel performance reviews breed competition — How are reviews impacting team spirit? Adobe found 57% of people feel performance reviews put them in competition with their peers. What’s more, 61% believe their manager plays favorites. Although it has largely been discarded by major companies, as recently as 2012 a survey found 14% still using stack ranking to rank employees against each other. Rather than helping to identify top and low performers, this system breeds competition and toxic work environments. 9. 95% of managers are dissatisfied with performance reviews — Based on its survey, CEB reported that a shocking 95% of managers are dissatisfied with performance reviews. 59% of employees feel they have no impact on how they do their job, with another 58% agreeing that it’s merely an HR requirement. 10. 70% of multinational companies are already overhauling their performance management models — Still aren’t sure whether it’s the right time to act? Today, agility is everything. To survive, companies need to be able to innovate, adapt and reorient at a fast pace. This requires an agile workforce that is constantly ready to learn and improve new skills. Influencer Josh Bersin estimates that 70% of multinational companies are now in the process of moving towards a more effective model of performance management. Deloitte’s 2017 Human Capital Trends Report found 90% of companies that have redesigned performance management see direct improvements in engagement; 96% report processes are simpler, and 83% say they see an improvement in the quality of conversations between employees and managers. It’s not too late to start the change. Steffen Maier is the co-founder of Impraise , the People Enablement Platform. Impraise’s belief is simple: Grow your people, grow your business. They help unleash people’s potential, doing more than just performance reviews, which means accelerating performance, fostering career development, and seizing all the moments that happen in between.